This is a simple, delicious and colorful meal. 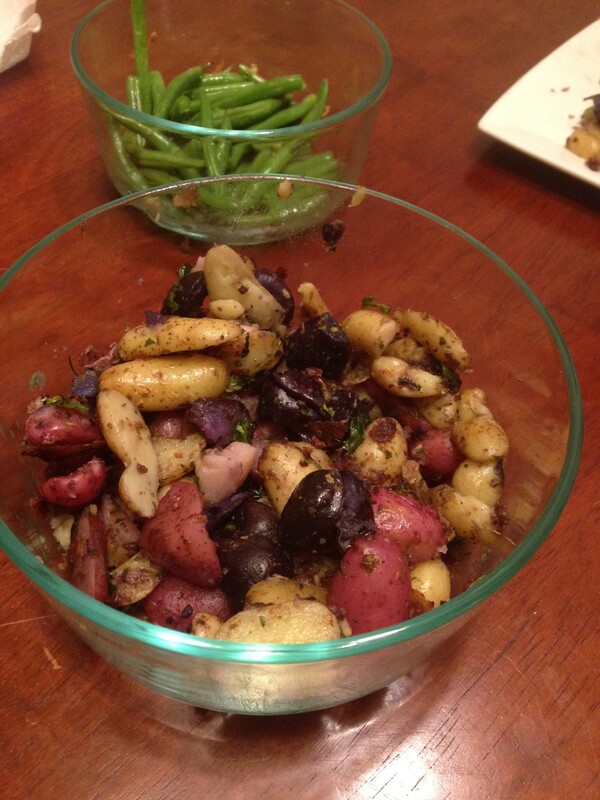 The local Aldi had colored fingerling potatoes for $1/pound – what a deal! I added parsley I had dried from our CSA to make J’s favorite potatoes. I was listening to a segment on WPR about braising potatoes using a “reverse braising” method. Normally, when you braise meat, you sear each side and then add some water to the pan, cover, and simmer for an hour or so. This makes a deliciously tender meat. The chef on the radio show decided to venture down a similar path with potatoes. The problem with the normal braising method, you won’t get the crunchy finish you want with parsley potatoes, because the water would soften everything (including that deliciousness you seared on first). Read more below on the reverse braising method I used for these potatoes. We had some green beans in the freezer from our CSA and we severe them with steak from our grass fed cow. Spray a large skillet with cooking spray and place all the potatoes cut-side down in the pan. 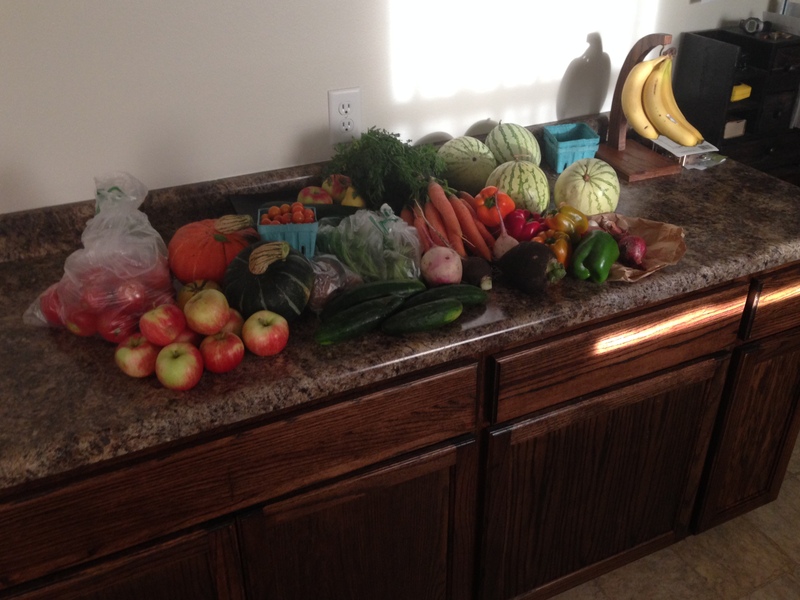 Add 1″ of water. Cover the skillet and simmer for 10 minutes, or until the water is all absorbed and the potatoes are easily pierced with a fork. If the water is absorbed but the potatoes are still tough, add more water. While the potatoes are cooking, heat 1 tbsp olive oil in another skillet. Add the almonds and green beans and saute for 8-10 minutes. Set aside. Once the water is absorbed in the potatoes, add the butter to the pan. and let the cut sides sear. Be careful not the burn them. Add parsley and remove from heat. Serve fresh, as refrigeration will remove the crunch you worked so hard for! This summer I had more eggplant than I knew what to do with. Usually I made baba ghanouj or I roasted the eggplant and froze it for later. One morning I stumbled across a roasted tomato and eggplant soup that sounded absolutely amazing – I had to try it. While it was a little more work than I usually like to put into things (yes, I’m a lazy cook), it was absolutely worth it. I modified the recipe a bit to finish it off in the crock pot, as an lazy cook would do :). I was living in Madison at the time, so unfortunately I forgot to take a picture of the final product before leaving for school. I’m sure I’ll be making it again, so I will update the post with more pictures. Roast both pans for 45 minutes, mixing every 15 minutes to prevent burning. If possible, peel the tomatoes (as I mentioned above, I’m a lazy cook, so I wasn’t too picky about this). Pour tomatoes into a food processor and blend well. Pour into a 4 or 6 qt crock pot. Remove the skins from the eggplant and pour into the food processor. Puree and thin with some water. Add to the crock pot and combine well. Add the chickpeas and basil to the crockpot. Cook on low for 4-6 hours. Anyway, here is a recipe I made a few weeks ago. The weather has turned and it is now crock pot season. As I’ve mentioned before, we bought 1/2 a grass-fed cow from a local farm last winter, so we have a lot of beef to eat. We’ve made a surprisingly huge dent in the stored and the basement just has 1 milk crate full of meat left. Thank goodness, because we just purchased another 1/2 (but this time we will share it with a few other people). Crock pot beef is a simple meal to throw together in the morning before work. You can really add any vegetables to the mix; This recipe has cabbage, onions, green peppers, and carrots. 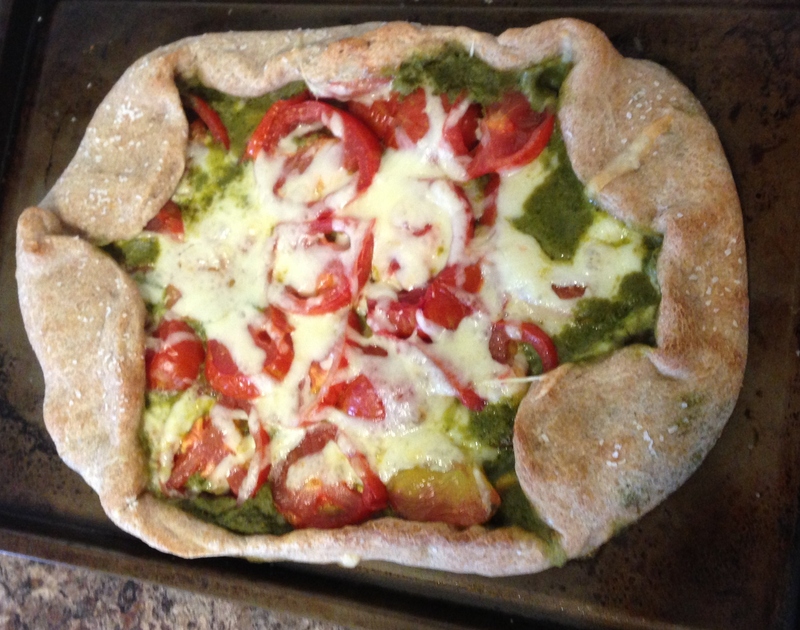 I plan to use some of the frozen vegetables from our CSA when I make this again during the fall/winter. Spray a 6qt crock pot with cooking spray. Place roast in crock pot. Pour vinegar over the top. Season with pepper. Cover with vegetables. I like to put the cabbage in last. Cover and cook on low for 8-10 hours. Check after 6 hours – if there is no liquid, add water. There should be plenty of liquid from the vegetables cooking down. Cabbage (green OR purple) – my first attempt at kraut! Pumpkins – carve this weekend! UPDATE 10/5/13 – I ended up roasting the radishes in the oven with olive oil and salt for 40 minutes. They turned out great. Jason said they remind him of potatoes, so they would be a good option for people who are trying to cut back on carbs. I also ended up making a leek and sausage soup with peppers. I added a few too many hot peppers, so I’ll need to come up with a remedy for that. What a wonderful week. Squash season is definitely here! I made some roasted butternut squash with sage last weekend – delicious! I forgot how much I missed fall. The food and weather are by far my favorite of the year. Our CSA is full of squash this week and our backyard garden is growing well (despite the leaves being taken over by these guys). This week also marks my last week of living away from home for the next 6 months – the longest stretch in the last 2 years! I am thoroughly enjoying neurology and have decided to keep it on my list of possible specialties. The shelf exam is this Friday – wish me luck! Saute green beans with garlic and onions. Store all squash in the basement for later. Ahh I am so behind on posts! I promise I have been cooking and have a slew of tasty recipes to share over the next few weeks. I am finishing up my 2nd week of neurology in Madison and am loving it. While I have always thought I would go into family medicine, neurology has been a lingering interest since I’ve started medical school. This week is the end of my outpatient part of neurology and next week I will start with inpatient stroke – exactly what I’m interested in. I am really excited to see how it goes! Anyway, on to the food (since that is why you visit). 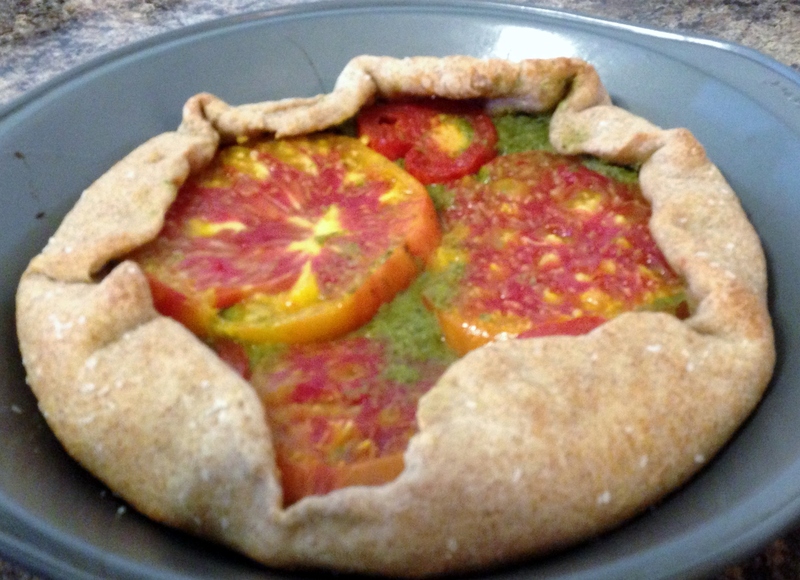 This is a recipe I made last month with carrots from the CSA. 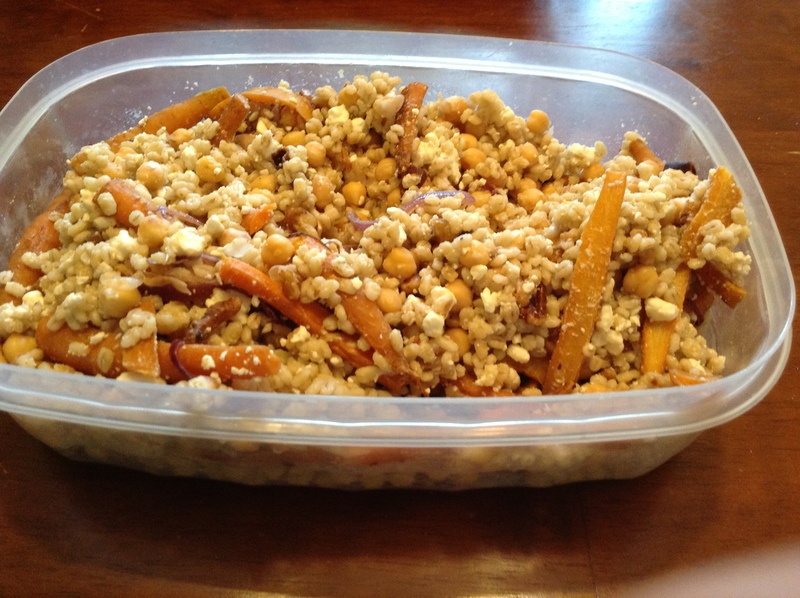 The roasted carrots and walnuts paired with crunchy barley and sharp feta is amazing. I am a bland girl, so I actually ate this without the dressing in the original recipe. If you are more normal than me and like a little more flavor, I recommend you visit Joanne’s website (linked below) and try out the dressing as well. Prepare barley as directed on the package (simmer for 1 hour). Preheat the oven to 425F and spray a baking pan with cooking spray. Add carrots, garlic, cumin, and oil in a large bowl and toss well. Roast for 15 minutes and stir. Add walnuts and roast for an extra 10-15 minutes. 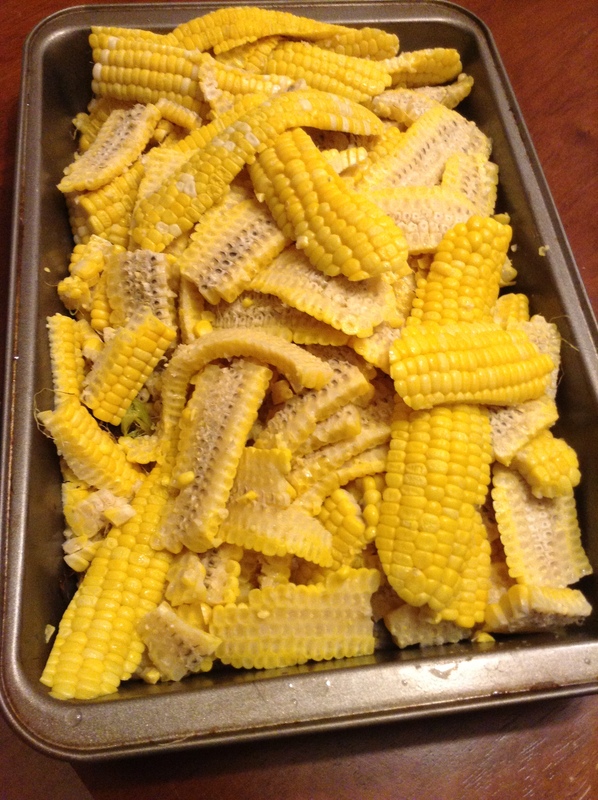 Remove from roasting pan and allow to cool slightly. Transfer to a large bowl and add barley, chickpeas, and feta cheese. Season to taste with salt. Serve warm or at room temperature. 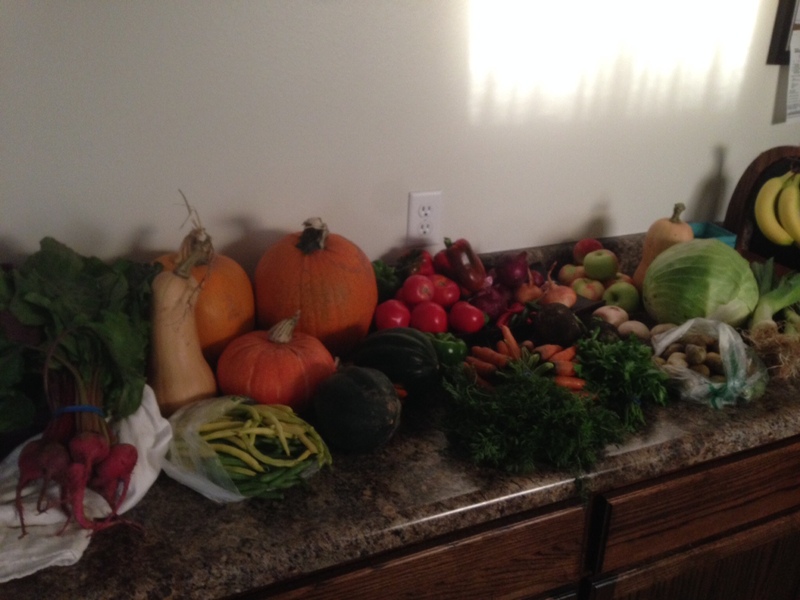 The first sign of fall came today – winter squash! Is it really that time already? We have a few baby squash coming up in our backyard garden as well, so it will just be a matter of time until I can start to use all of the sage I dried this summer. If you have never tried winter squash with sage, you must! It is absolutely amazing. Our favorite recipes are Spinach and Butternut Squash Lasagna and Acorn Squash Crock Pot Bake. 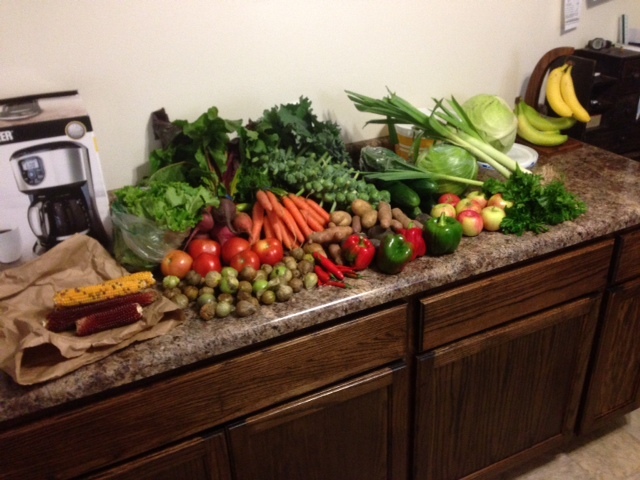 Anyway, I am getting ahead of myself…it is only Sept 10th and there are still lots of summer vegetables to be eaten. Watermelon as a snack or to freeze for later.